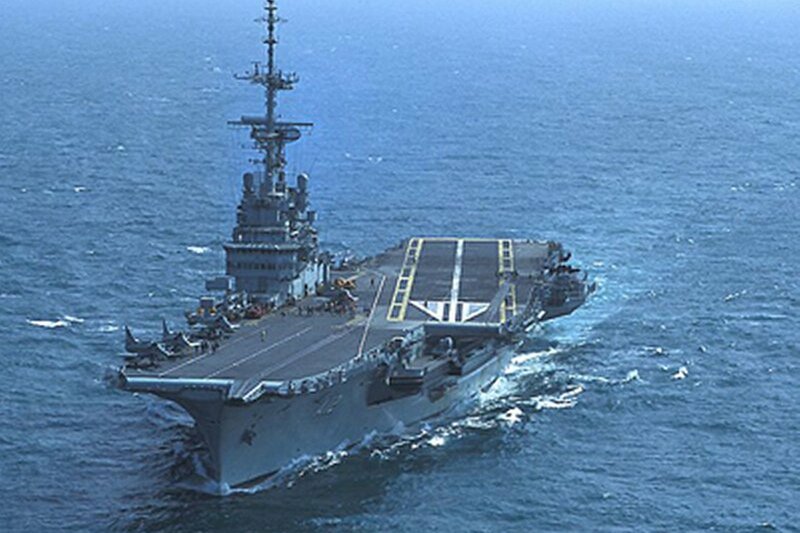 The Brazilian government purchased the former French carrier Foch in 2000 for 12 million US dollars and recommissioned her the Sao Paulo. 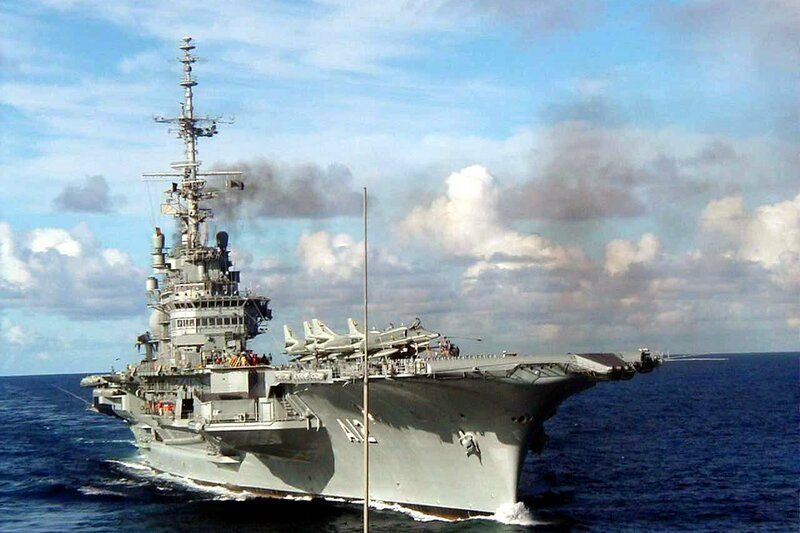 The Fock was orignally commissioned in 1963 and served a long and successful career with the French before being sold to Brazil after the successful commissioning and operation of their new nuclear powered aircraft carrier, the Charles de Gaulle. 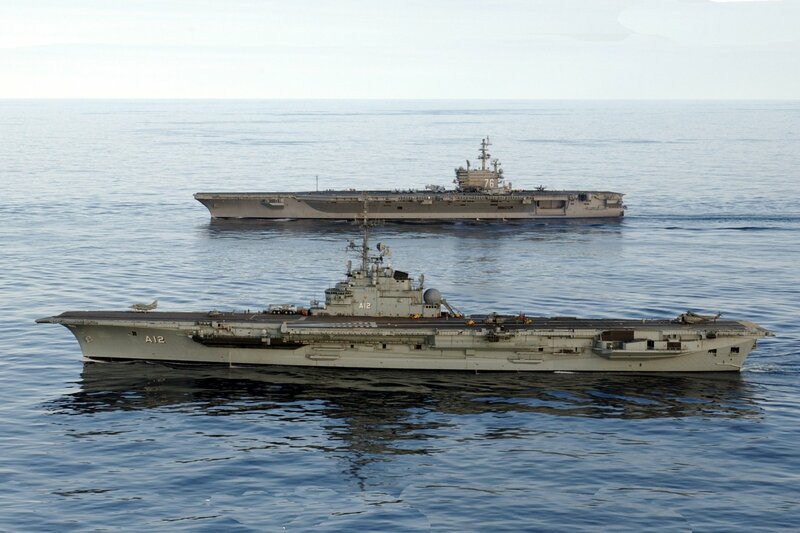 Before the purchase of the Sao Paulo, the Brazilians had operated a fomrer British Colossus class carrier, the Minas Gerais, for many years. This gave them proior experience in catapault take-offs and arrested landing. 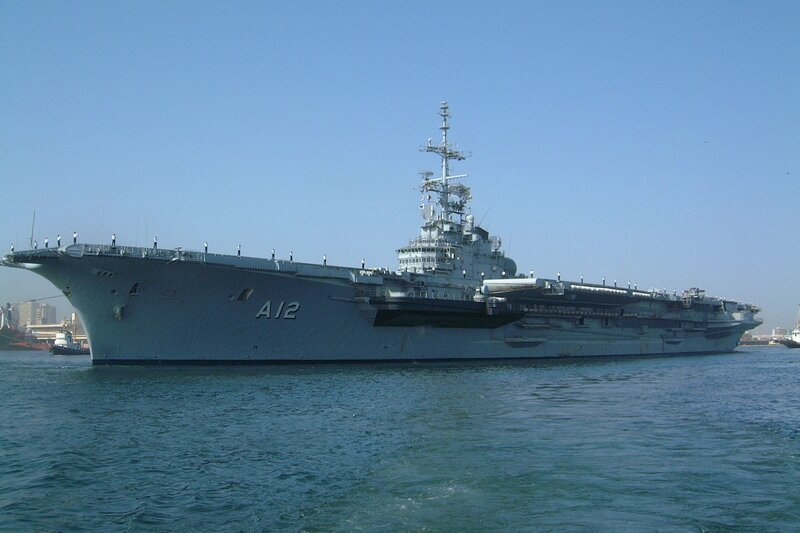 After purchasing the Sao Paulo, the Minas Gerias was retired and decommissioned in 2001. 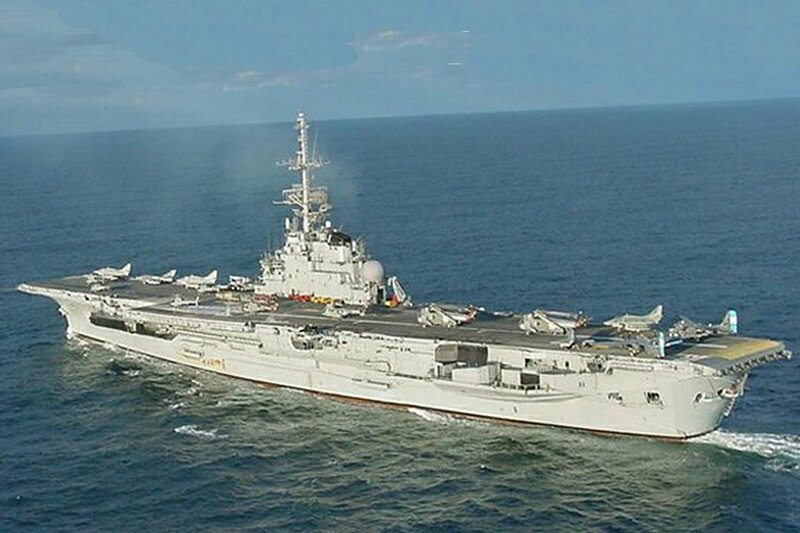 The Brazilians refitted and modernized her between 2005 and 2010. This refit was extensive and included the repair of the steam turbines; maintenance of the surface condensers; retubing the boilers; repair of the high-pressure compressors; maintenance work on all pumps, valves and several structural items; upgrading and modernizing the Optical Landing System processing unit; the purchase and installation of two API oil-water separators; updating the alternating current electrical generator; installation of two water cooling units; an upgrade of the chemical oxygen generator; the repair athe oil tanks; modernizing and updating the Naval Tactical Data System; installation of a new closed-circuit television system; installation of IFF transponders; installation of new MAGE ESM equipments; a complete flight deck inspection, repair and painting; and finally a full updating and modernization of the carriers rcatapults. 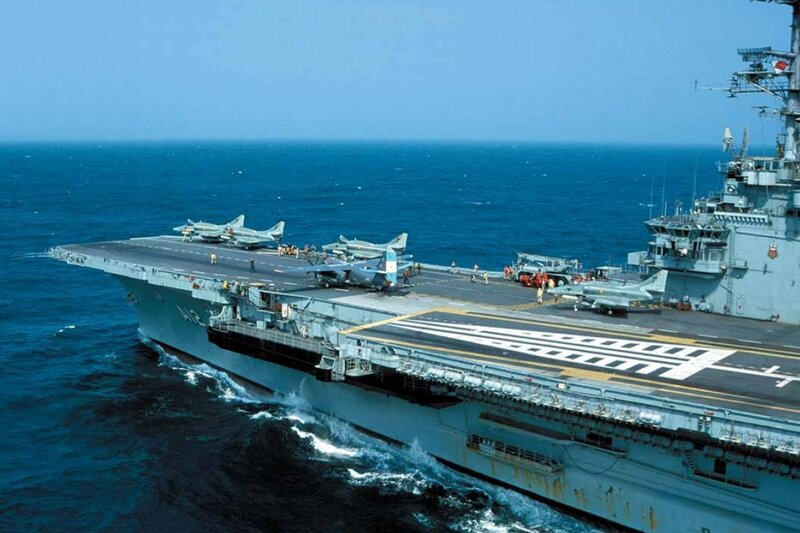 However, not long after the refit, the carrier experienced a serious catapult failure, and then later, a fire which put it back in the yards for repair in 2012. 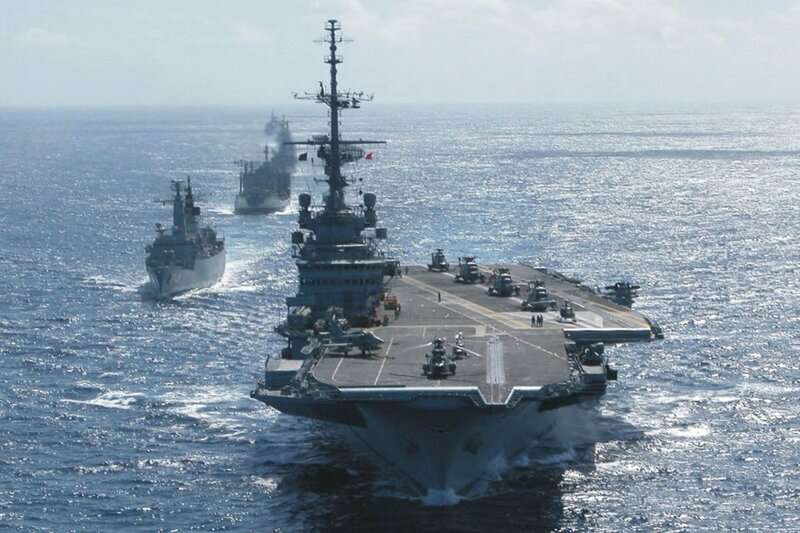 In early 2014, the french Company DCNS completed repairs and tested the catapults to Brazil's satisfaction and the vessel began working up for operational duties. 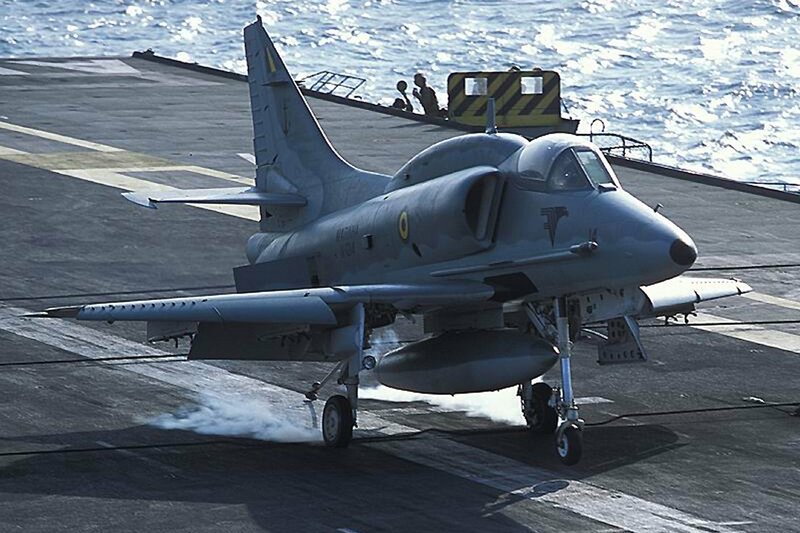 To go with and act as an airwing for the Sao Paulo, the Brazilians purchased 20 A4-KU aircraft from Kuwait to serve on the new carrier. A significant modernization of twelve of the aircraft (nine single seat and three two-seaters) began in 2012-2013 and is conitnuing. 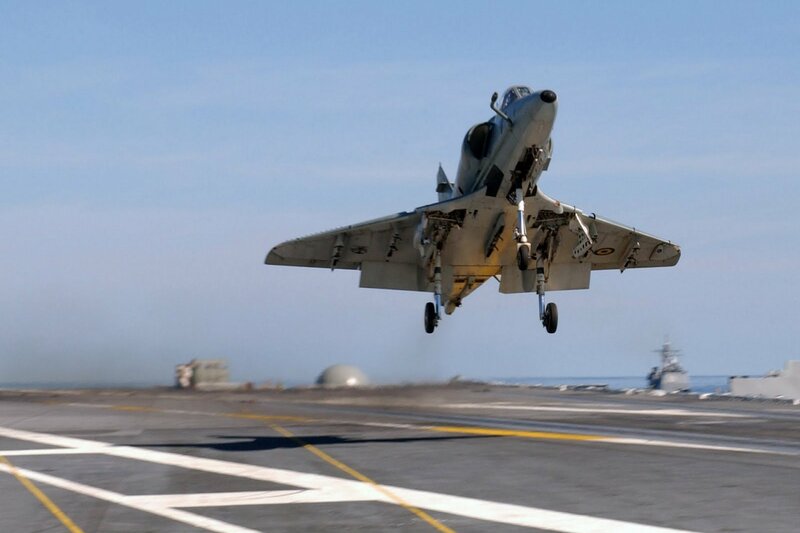 This upgrade significantly enhances the A-4KUs (designated AF-1s by the Brazilians) adding new avionics, a digital/glass cockpit, new, modern weapons, a new Israeli pusly doppler radar (giving the aircraft BVY engagement capabilities) and a refit of the engines and power geneartion as well as data linking capabilites. 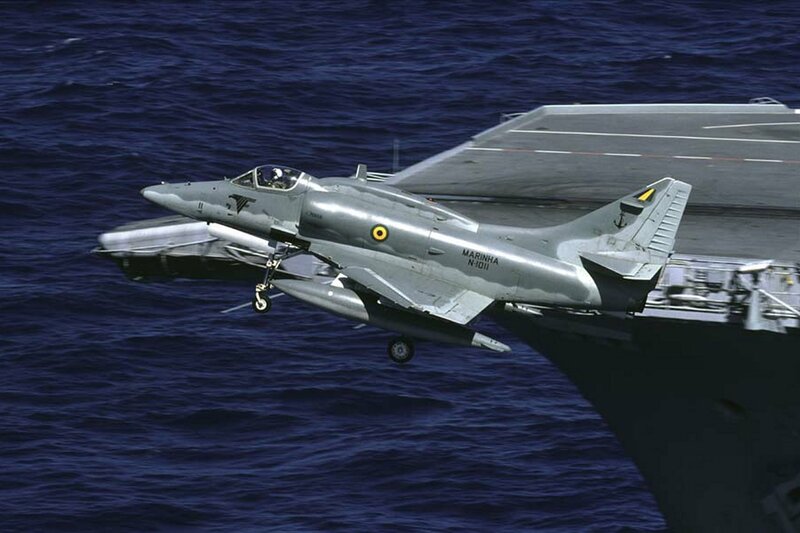 This signifianctly enhances the Sao Paulo airwing and its capabilites in both the air to air and air to surface areas for the A-4s. The new single seat aircraft are designated AF-1B and the two seaters are designated AF-1C. These new aircraft will join S-2T Turbo trakcers which the Barzilian Navy has also purchased and is equipping three to the AEW configuartion, three to the TA-4KU tanker configuaration, and three to the COD configuartion. 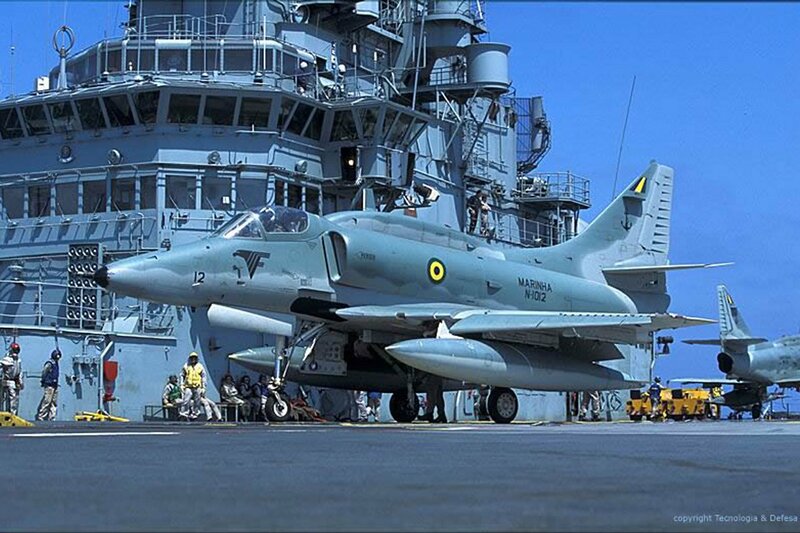 IN addition, Brazil has purchased modern, S-70B Skyhawk helicopters for the Sao Paulo to serve in the ASW and SAR role. For a total of 16 aircraft normally deployed. 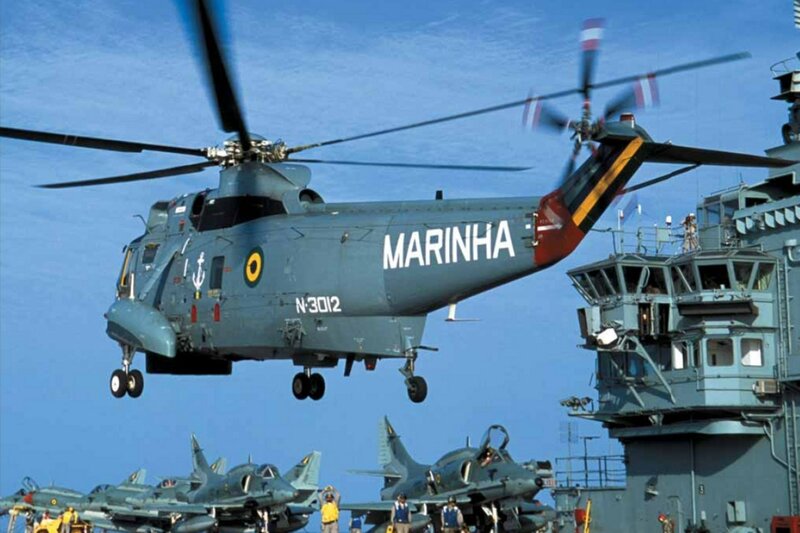 The modernization of the Sao Paulo and its airwing are increasing the capability and the effectiveness of Brazilian naval air operations tremendously. In October 2014 Brazil announced that they would purchase thirty-six modern 4+ generation Saab JAS 39 Grippen aircraft from Sweden. The aircraft are to be delivered between 2019 and 2024. 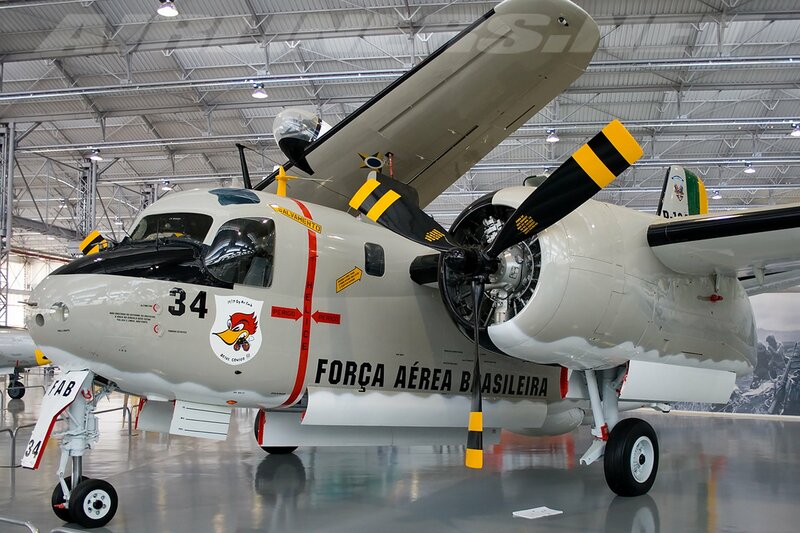 At least fifteen aircraft are to be assembled in Brazil, and Brazilian companies are to be involved in the full production run, such as parts manufacturers. 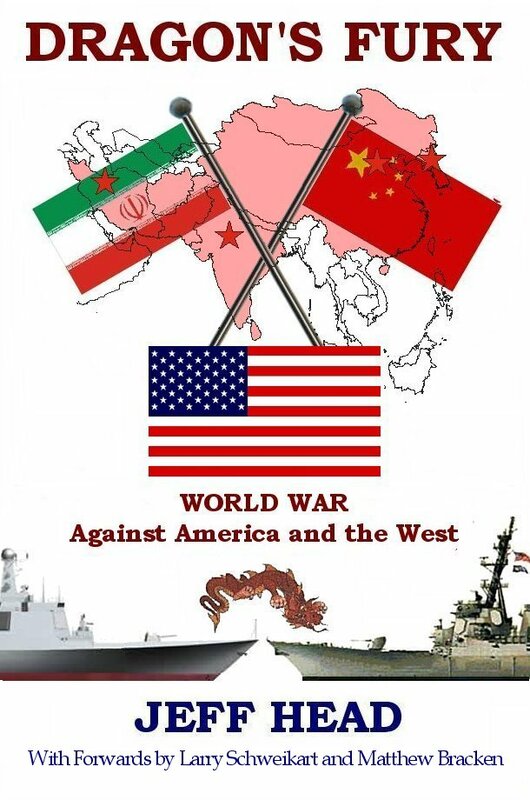 The deal includes BAzil's involvement in the development of a Sea Gripen version of the aircraft which began in 2011. 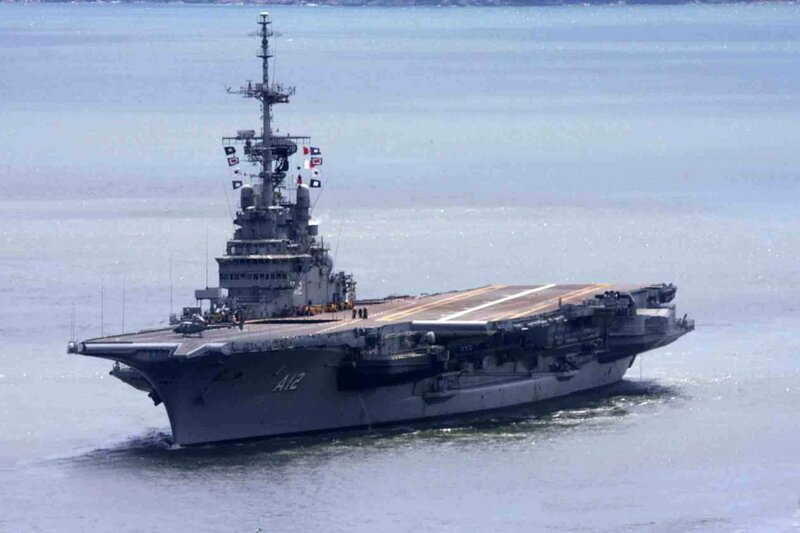 The proposed carrier-based version of the aircraft, if fully developed and then purchased, would operate intially from the Sao Paulo, and then later from a planned indegenously built CATOBAR carrier for the Brazilian Navy.